UCCFS Round 3: Grilled Cheese (3) vs Gyro Sandwich – I Love It Spicy! In this last of the Round 3 match-ups of comfort food, we have the last of thelong shots, the #10 seed Gyro Sandwich. I am truly amazed, but incredibly happy that one of my favorite sandwiches of my youth has lasted this long in the UCCFS. So far it upset the Cheesesteak in Round 1, then took out #2 seed Mashed Potatoes in Round 2. 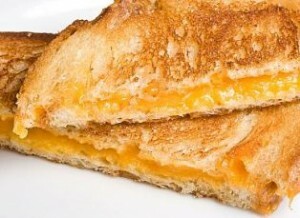 Can it take out one of the easiest and pleasiest sandwiches of all time, the Grilled Cheese? It will be another tough one for the Gyro, but even if it can squeak by another round, Ribs are waiting in the Elite Ate, and that won’t be pretty. So what do you folks think? Which is sandwich is more comforting to you? Share your thoughts.